Video demo: Holy Virgin Was Walking in the World. Ukrainian Christmas Carol. 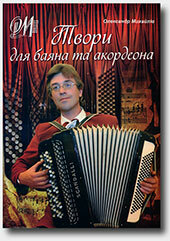 Arranged for accordion by Oleksandr Mykhayliv. Video demo: Dobry Vechir Tobi (*Good Evening to You). Ukrainian Christmas Carol.